Today I thought I would play along with the challenge over at Just Add Ink. And it is such a fun challenge. 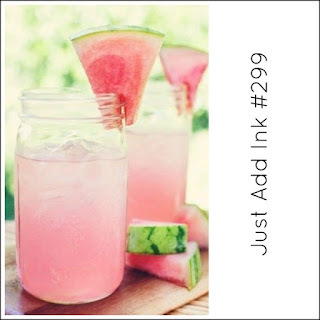 I love the inspiration this week as the colours are so subtle and the drink looks so refreshing. With the scorching temperatures predicted for Sydney the remainder of this week, I think I might just have to print this picture out so I have something cooling to look at. I used the colours in this picture as my inspiration. They are so soft and delicate. Here is the card I made. 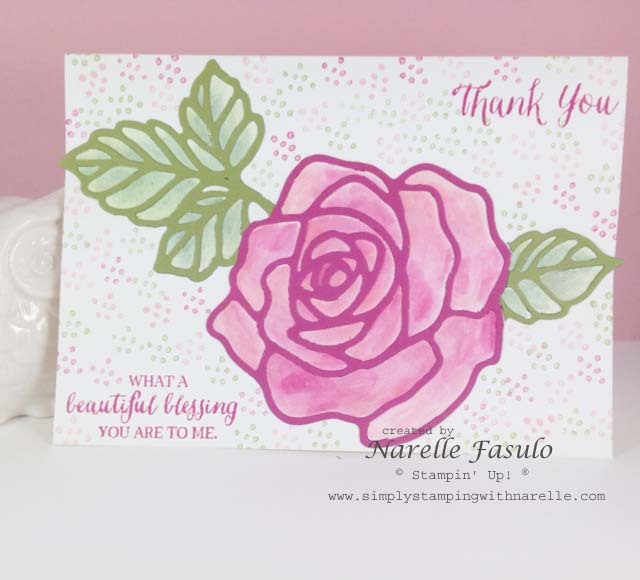 I used the stunning Rose Wonder Photopolymer stamp set and coordinating Rose Garden Thinlits Dies. 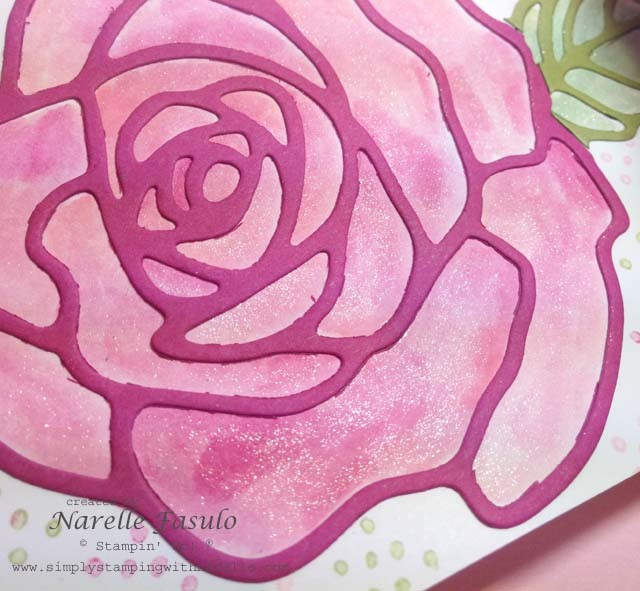 I just love this big rose as it lends itself so well to watercolouring. I must though, look at doing something different with it. After I water coloured it, I then went over it with the clear Wink of Stella. It is so hard to get a great picture of it, but it sparkles oh so prettily. I cut two of the Rose Garden thinlits and just cut them where the flower and leaves met. I was going to leave the white background blank,but to me the card appeared to be a little lacking. So I used the small dots from the Birthday Blossoms stamp set. 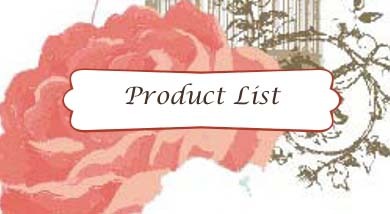 I did them randomly all over the card front in hree different colours - Rose Red, Blushing Bride and Old Olive. To make them paler, I stamped off first before stamping onto the card.